Bombardier proudly announced it’s new Global series aircraft the Global 8000 and 7000 at this years NBAA (National Business Aircraft Association) convention. I was a little disappointed to learn that rather than a clean sheet new aircraft design Bombardier’s answer to the challenge from Gulfstream’s the G650 was simply a stretch and modernization of the venerable Global Express. While Gulfstream strived to keep the weight of their new aircraft under 100,000lbs, which is the weight restriction at Teterboro New Jersey. Bombardier elected to exceed this limit. Teterboro is perhaps one of the most popular destinations for business jets in the world. Some companies simply won’t buy a jet that can’t land in Teterboro. This was and still is a major obstacle for the Boeing BBJ. The Bombardier Global Express has always been an aircraft with outstanding cabin amenities and stellar performance there is no reason to think that these new family members will be anything less. The Global 8000 business jet achieves a remarkable 7,900 nautical miles at Mach 0.85 with 8 passengers*, and an equally impressive 5,650 nm range at Mach 0.90*. IAS recommendations: IAS fully recommends the Global series to all clients. This is a fast and comfortable aircraft that meets the needs of those who desire to travel around the globe cost effectively, securely and safely. Bombardier is taking orders for these aircraft now. We recommend that you have a professional team of consultants to help. The options in safety related equipment as well as ascetics could be overwhelming. 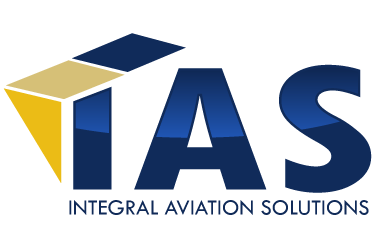 IAS has a team of maintenance people, pilots and designers to assist in the contract negotiations and “specking out” of the new aircraft.